Once selected you will be taken to the model’s unique details page where you can see a larger picture along with a brief description and starting price. Note this price will be higher than the price seen in the configurator for most buildings as we have incorporated the price of the floor. From this page, you can click on “Click here to see more details on this model” which will open a new browser page for the model at lugarde.com. You could go to the configurator from Lugarde’s page or return to our page and click on the “Click here to Configure this building” button which will take you directly to the configurators page for this model. Now you can start to configure the building element by element. 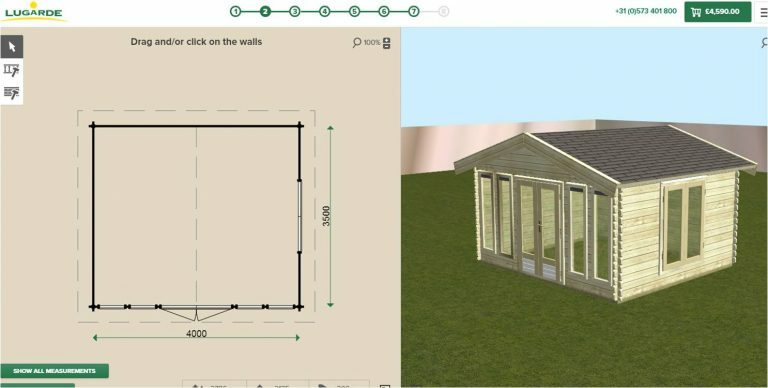 Remember to click on the right-hand side to display a 3-D image of your building, the image will change as you make configuration changes on the left-hand side. Now resize the footprint or add a window or change the door style. 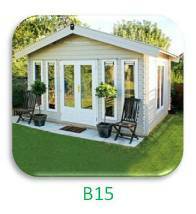 Choose your treatment or colour and make the building truly unique to you. 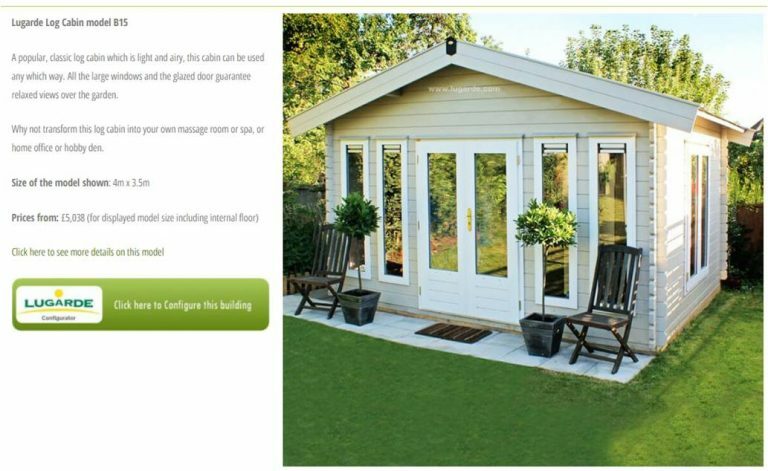 If you need help with the configurator then click here to go to Lugarde’s Instructions page. If you are not sure or want to share with friends and family first, you can register with Lugarde and save the design and return to it at a later date. Once you are happy then we advise you do not send the design to Lugarde. 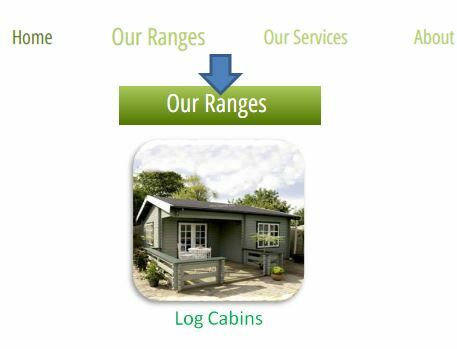 The design will be passed to Quality Garden Buildings but to save time it is easier to either note down or take screenshots of the specifications created and send to us directly at dlc@qualitygb.co.uk. 2 tips to help. 1, copy and paste the completion page into a word document or 2, click on print and print to PDF (available in most browsers), and then send us the PDF (Example from Google Chrome below). Once we have your design then we will be able to arrange a site visit to check the design with you, check access and discuss any services you require and provide you with a final quote When you are happy for us to do so, we will then place the order with Lugarde and arrange delivery and installation dates.